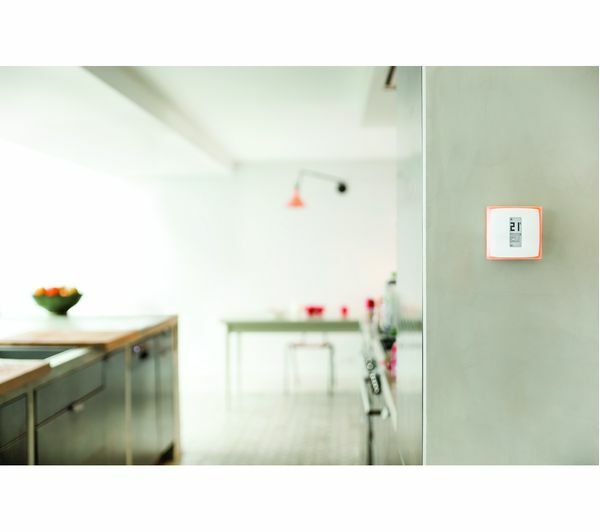 Control your home's heating from anywhere in the world with the Netatmo Thermostat. 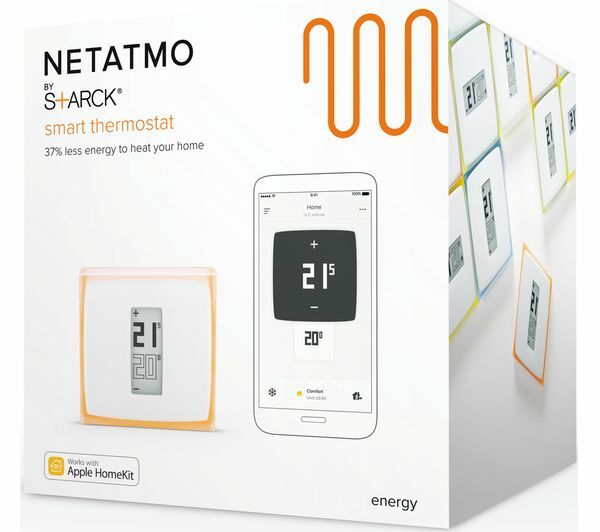 The Netatmo Thermostat replaces your old thermostat and adds hugely convenient smartphone control to your heating system. As long as you have signal on your smartphone or tablet, you can make changes from anywhere in the world - great if you're returning from holiday and want to walk into a perfectly heated home. Using the free and easy-to-use app, you can quickly change the temperature, turn it off completely when you're away and set programs based on time or proximity. During the winter, the Frost-Guard mode doesn't completely cut the heating when you're away to prevent burst pipes or damage to your heating system. Over time it learns your preferences and uses the outside temperature as a guide to make automatic adjustments to the temperature. 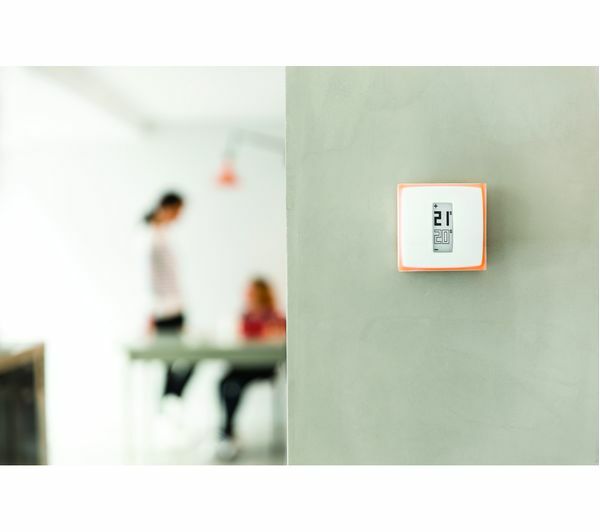 The Netatmo Thermostat can help you save up to 37% on your electricity bills and reduce your carbon footprint. Each month you'll receive a personal energy saving report so that you can track heating use and energy consumption. This gives you all the information you need to make changes to your settings to make the most efficient home possible. 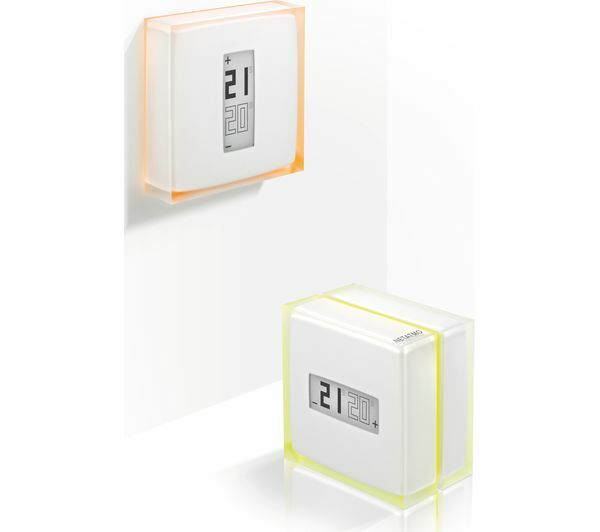 Wherever you choose to install it, the Netatmo Thermostat looks great thanks to its clean, minimalist design. It clearly displays the current and target temperature for quick reference, while all the other settings and data can be viewed easily on your phone or tablet. 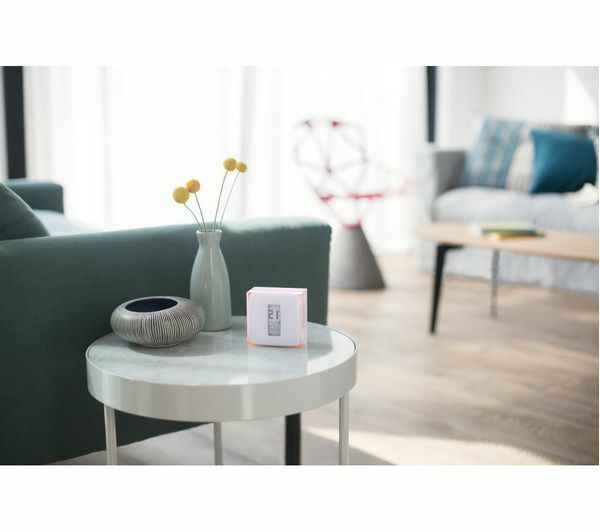 There are five interchangeable colour bands supplied too, so you can match your room and decor without needing to buy any additional accessories. 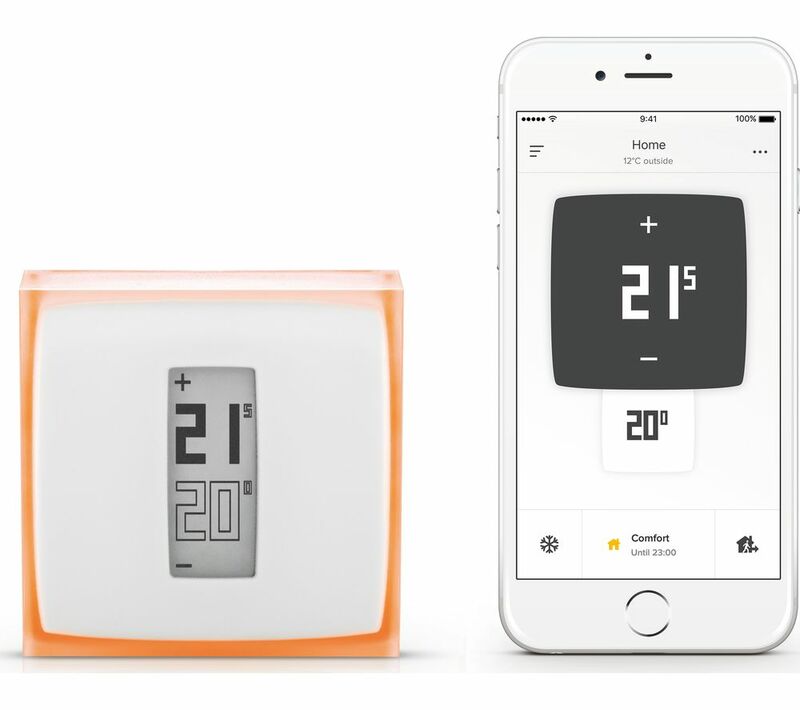 Make a big difference to your home and bills with the netatmo Thermostat for Smartphones.